I Love bold colors! I can't help it..Even when sometimes I heard that it's a risky path when designing, I think the result is so worth it if you hit the notch! Rule 1: Keep color strong. Pastels like baby blue, baby pink, no matter how hard you try, read young—like, really young. Like, "Let’s-go-to-the-mall!" young. Strong, pure brights that have an almost hothouse-flower intensity to them—azalea pink, grass green, daffodil yellow—transmit confident, grown-up allure. 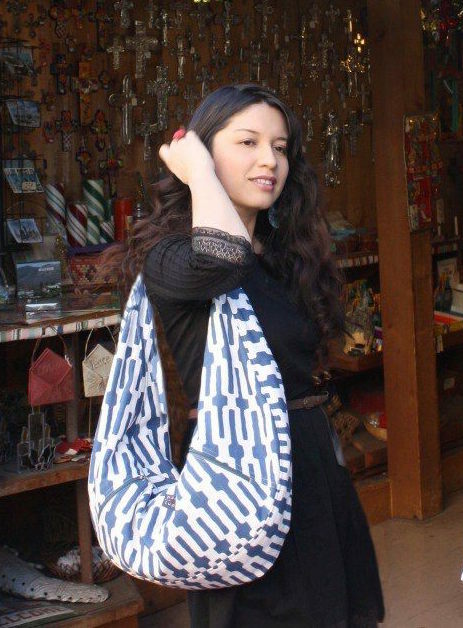 Rule 2: Stick with simple lines and soft fabrics. Unless you want to look like Nancy Reagan, choose pieces made of diaphanous, undulating silks and chiffons, for a beautiful, ethereal, much-needed balance to all that color. Dries Van Noten crystallized these soft-strong principles perfectly in his spring ’09 show by taking easy Grecian-looking shifts and blouses—structured only by the odd knotted waistline or bit of draping—and smothering them in bright, diffused blocks of color that gently blurred into one another. The whole thing was very strong, very soft. Entirely grown-up. 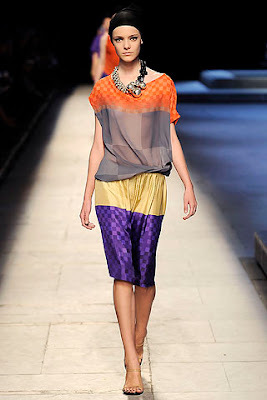 I personally Love how Dries Van Noten works bold colors! I think he's a master doing that. His collections are never boring and I find them so chic and colorful at the same time. It's not easy to work with bold colors and he really undestands colors and not only that, he also mix and match patterns which is also very hard to do for many designers. 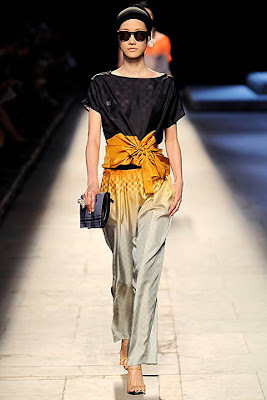 Dries Van Noten doesn't like to play safe, that's why I love him! His designs are so chic and elegant! I was looking for this type of post and I just found your blog! I love all the bright, fun colors in this outfit!